Help us find this beauty a home! the shape, the curved lines, the detailed carvings on the center back...yes! 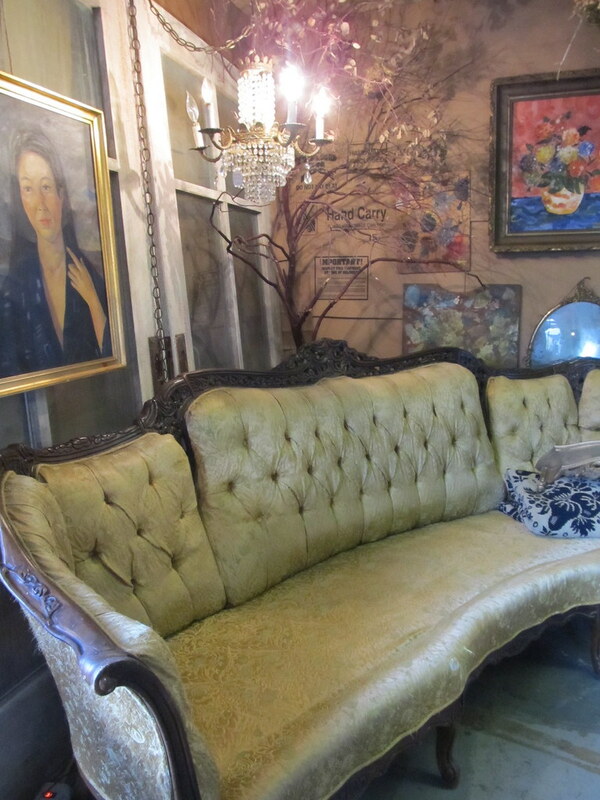 We love the golden color, and although there is some wear and tear, we love that it gives it a regal feel. purple, or green, or cream, or...................? Then our thoughts shifted to those anthro catalogs...where you see those models on the great furniture. This would be a perfect piece. Personally, I see it as a prop for wedding photos...maybe in a grassy field? And the best part? The couch is only $155!